This game will make every day feel like Christmas! Christmas Eve has come — a time of warming fires, beautifully decorated trees and wonderful gifts! 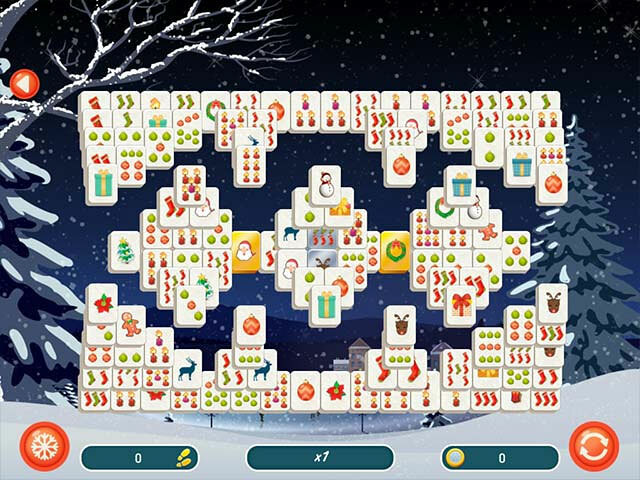 Dive into the holiday atmosphere with the new Mahjong Christmas 2! Enjoy a joyful trip through the most exciting spots in a snow-covered town, long evenings at the holiday table and exciting games by an old hearth! May all your dreams come true on this magical night! 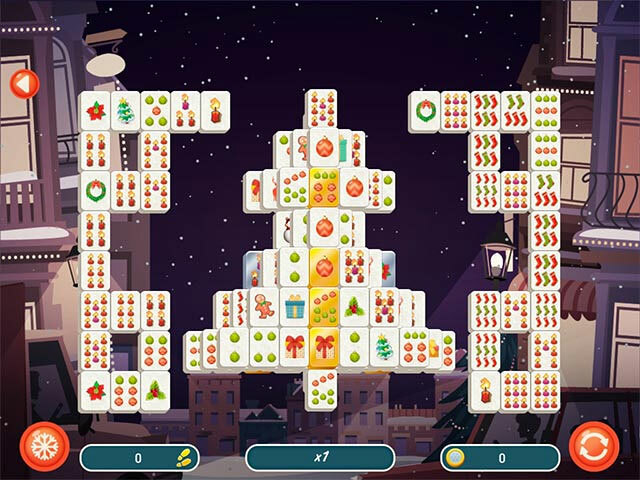 Complete Mahjong levels to suit any taste — classic, themed and fast levels to while away the time during the holiday bustle and tall 15-layer levels and giant 200-tile levels for those long Christmas evenings! 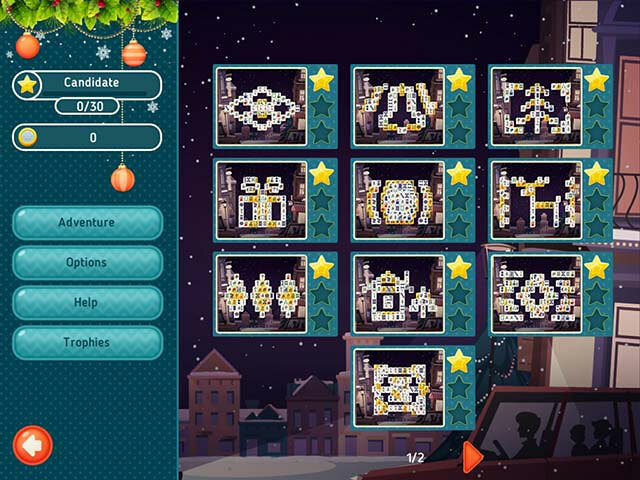 Each level has its own exciting goals and contains special golden tiles! Over 8 hours of gameplay and more than 100 unique levels await you, with varying difficulty and speed. Prepare for a magical journey! You’ll be able to skate on ice, visit a toy store, warm yourself by a cozy old hearth and have a wonderful time this Christmas!